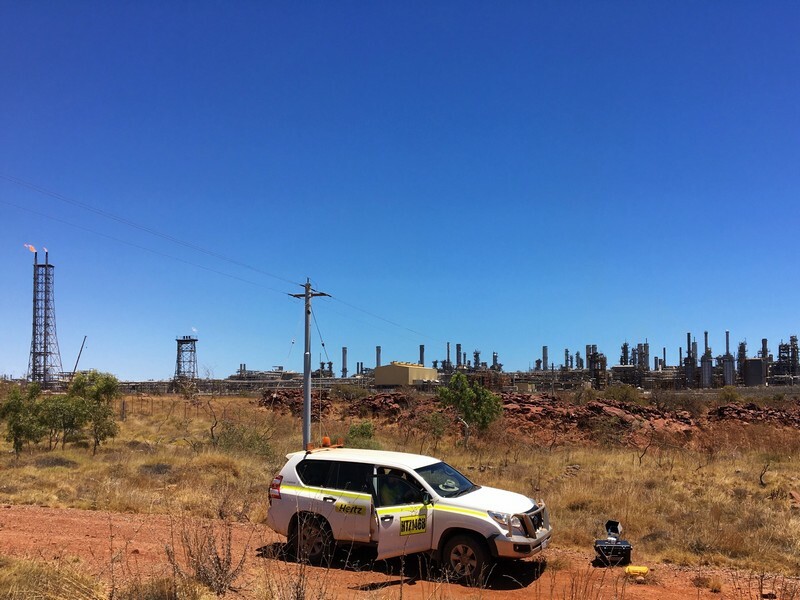 Advisian required an efficient, accurate and reliable method of surveying and mapping the plant health of the mangroves in the bays surrounding the peninsula of the Woodside Gasplant near Dampier. Hawkeye Imagery accompanied staff at Advisian for two full days accessing the remote areas by 4×4, foot or boat with their specialized drone equipment and cameras. Hawkeye Imagery provided highly accurate and detailed georeferenced NDVI (Normalised Difference Vegetation Index) and RGB orthomosaics for the marine scientists at Advisian to use in their plant health analysis. In the future, Advisian will rely on Hawkeye Imagery’s efficient operating systems to accurately measure the data whilst reducing their input costs. 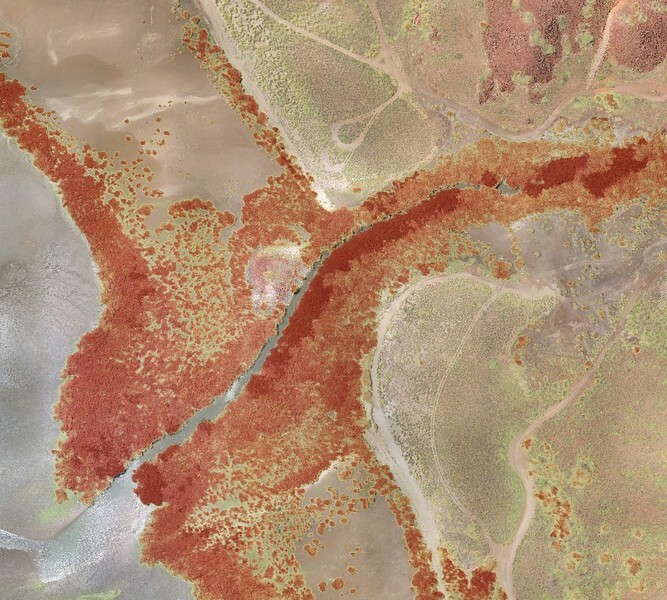 Earlier this year, Advisian approached Hawkeye Imagery wanting an efficient and accurate method of mapping the health of mangroves surrounding the peninsula of Woodside Gasplant near Dampier. A lot of the bays were difficult to access (due to their remote locations) and currently the vegetation analysis was sampled by hand, which takes a lot of time and resources to do so. Advisian were looking for a reliable drone company to help simplify the process and to start accumulating yearly datasets. Hawkeye Imagery has years of experience in yearly NDVI (Normalised Difference Vegetation Index), thermal and RGB surveys for DPIRD (Department of Primary Industries and Resources) and GRDC (Grains Research and Development Corporation). Therefore, we had the skills and equipment to undertake the task at hand. Hawkeye Imagery accompanied Advisian with specialized drones equipped with top of the range multispectral and RGB cameras. Over two full days in the sun and windy conditions, the crew successfully surveyed all the remote mangrove bays across the peninsula by foot, 4 x 4 or boat. The GIS (Geographical Information Science) specialists at Hawkeye Imagery provided accurately georefenced NDVI and RGB orthomosaics of each of the sites which overlapped and correlated with the data from the previous year. The marine scientists then compare datasets and report the findings to their client. In years to come the imagery that is captured by Hawkeye Imagery will replace the need for hand surveying, reducing the amount of time and personnel required to undertake the surveys. Therefore, allowing the company to reduce their input costs on the project. Hawkeye Imagery were efficient and accurate in surveying all the mangrove bays across the peninsula surrounding the Woodside Gasplant. This allows Advisian to trust in our operating systems and over time Advisian will be able to reduce their input costs as they switch to more autonomous and faster operations.